Most teenage boys are far too busy at school and interested in playing sports and computer games to set up a business on the side. But nestled between two mountain ranges in northern Utah, USA, there are three brothers who are possibly the youngest bitcoin entrepreneurs out there. 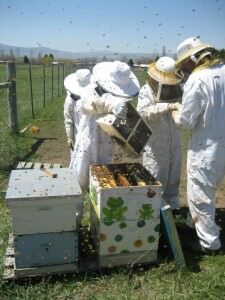 At 14, 13 and 10 years old, Nate, Sam and Ben Huntzinger have their own successful honey business at home in the Cache Valley. It all began when they caught a swarm of bees as a bit of a fun experiment. Little did they know it would lead to a small business and an obsession with bitcoin. The boys have had their own bee nests since they were old enough to walk and as soon as they could fit into the beekeeping suits, at around six-years-old, they each started working with honeybees. Their father, Craig, says they had no intention of starting a business. “As we started working with honey and beeswax we started making new things for ourselves, and eventually got a small business licence, more honeybee hives and started selling our items at our local Farmer’s Market,” he says. The answer is a flourishing business and three boys learning about finance and investing before they have even finished high school. Business is booming. From selling pots of their honey locally, their company, Bees Brothers now produces several different flavours of honey caramels, honey roasted almonds, beeswax lip balms and candles both at the markets and via their website. It is through their online sales, that they have had the most success with bitcoin transactions, taking advantage of the absence of international currency exchange costs. By January 2012, they were selling their first products for bitcoin and now ship orders all over the world: from California and New York in the US to many European countries and as far afield as Russia and Australia. They say they have many repeat customers and a lot of positive feedback from the bitcoin community. It seems their involvement with bitcoin does not end there, however. The boys are now developing an interest in the method of generating bitcoins, cryptography and investing, stating that they “aren’t true bitcoiners unless we do a little mining.” They have been spending what spare time they have over the summer learning about the process. It has sparked some curiosity among their friends who want to learn cryptography with them, but when asked about their friends’ reactions, they say, “most don’t really know about it or don’t really care.” Some family members have shown more interest, with both sets of grandparents and two uncles having bought bitcoins from them. Unlike many of their peers, the brothers see the currency as an important part of their financial future and most of their savings are in bitcoin and silver. “They are growing up with a totally different world view than what their parents grew up with. Bitcoin, or some other decentralised future currency is here to stay. The more government bailouts and inflationary printing, the stronger the alternatives to fiat will become… being versed in alternative currencies is a must,” Mr Huntzinger says. For now they are also playing at just being boys. Nate wants to learn more about computer programming, Sam is looking forward to his first elk hunt in the Wind River Range of Wyoming and Ben; he wants to finish his tree house and live out there. 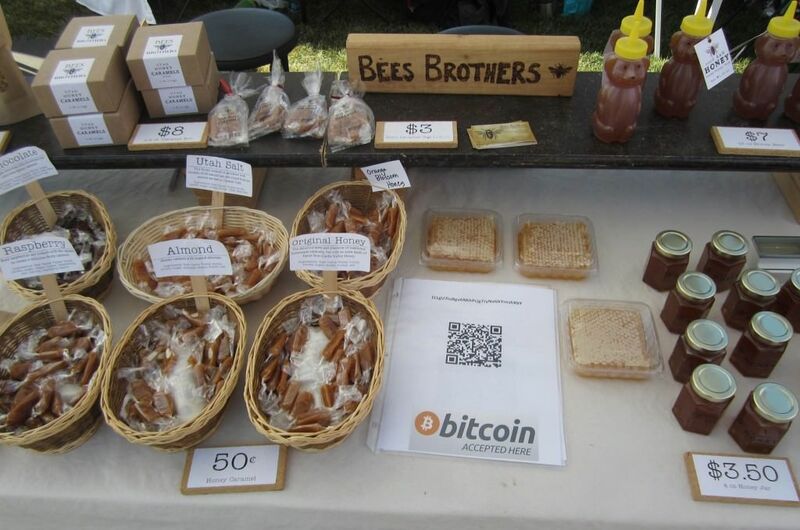 Although growing the Bees Brothers business to a full time venture is not part of the plan right now, it is going towards future college fees and whatever they go on to study or do as a career, it is likely to involve bitcoin. The cryptocurrency, so often viewed as a Generation Y phenomenon, is clearly already trickling through to Gen Z. If anyone was to look for signs it is here to stay, these brothers might be what they are after. 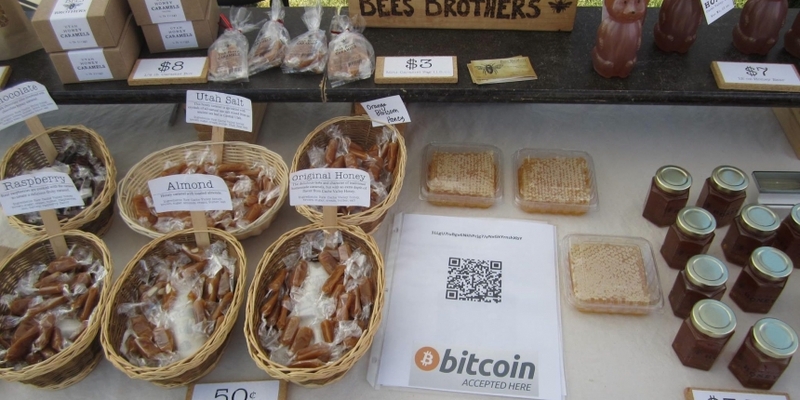 As some of the currency’s youngest adopters, they are sure to become experts in both honey and bitcoin, and right now, it is a sweet combination.